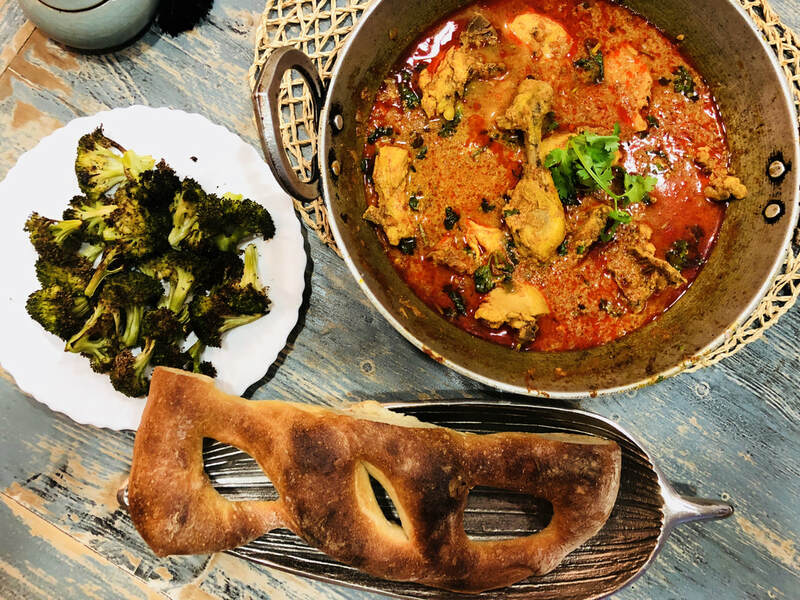 The best chicken curry has to be made with quality whole chicken (yes, I mean with bones and all as that’s where the flavor is). It’s quick, it’s simple and when served with crusty bread it is life’s most delicious pleasures. Enjoy the recipe! 1. Marinade chicken with yogurt, ginger, garlic, fresh chili, turmeric powder, chili powder and salt and refrigerate overnight. If running short of time, marinate at room temperature for about an hour. 2. Heat oil in a heavy base saucepan and drop in cumin seeds. Once cumin seeds start to splutter, add onion, ginger, garlic, fresh chili, and stir-fry on medium-high heat for about 5-10 minutes until onion starts to brown. 3. Next add marinated chicken, coriander powder, turmeric powder, chili powder and salt and fry for another 10 minutes until chicken is no longer pink and oil separates. 4. Add water or chicken stock if serving curry with rice. Bring to a boil. Cover and cook on low-medium heat for about 10-15 minutes until chicken is tender. 5. Add garam masala and stir. Finally garnish with coriander leaves and serve with crusty bread or steamed rice. Note: This recipe makes a medium spicy curry; more red chili powder can be added as per taste.